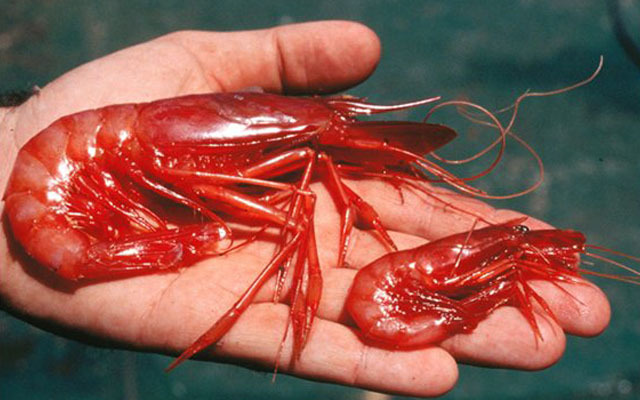 Sustainably managing red shrimp using fishers' and scientists' knowledge. The aim of this case study is to identify the main recruitment areas and season for juvenile capture of the red shrimp Aristeus antennatus with the final objective of establishing a long term fishery police that will allow the fishery sector to conduct a sustainable exploitation of the most important fishery resource of our region. We hope to intergrate fishermen’s knowledge from long years of personal observation, with scientific ecological information gathered through years of scientific research projects. This joint effort encourages fishermen’s involvement in the future fishery management of this resource. To read a quick one page summary of the case study, its aims and achievements please click here. A valuable resource for Mediterranean fishermen and their families. November 2012. 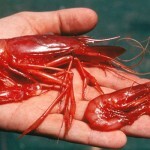 The Spanish Government has bestowed high-level praise onto the GAP2 partners, the Marine Science Institute (ICM-CSIC) and the Regional Federation of Fishery Associations of Girona, for their draft management plan on deep-sea red shrimp fisheries, which they prepared in collaboration with the Catalan Autonomous Government. The success of this case study’s work is also recognised by the Marine Stewardship Council who awarded their PhD scholarship to GAP2 student Giulia Gorelli (see news item here). The Marine Stewardship Council (MSC) have also shown interest in the potential for the red shrimp fishery to undergo MSC certification; a first in the Mediterranean. A paper published in the 'Journal of Marine Systems' examining the deep-sea recruitment of red shrimp, Aristeus antennatus. An article presented in the IUCN publication "Mediterranean Submarine Canyons - Ecology and Governance", edited by Maurizio Wurtz. A paper produced by scientists working on the GAP2 Mediterranean case study, investigating whether co-management strategies recently put in place are appropriate for bringing long-term sustainability to the red shrimp fishery. Published in 'Fish and Fisheries' by researchers at the Instituto de Ciencias del Mar, who also work on GAP2's red shrimp case study in the Mediterranean, this paper looks at the way in which fishing exploitation in EU seas will be affected by the introduction of the 'discard ban' under the reformed CFP. Researchers working on the GAP2 Mediterranean red shrimp case study in Palamos have published a letter in the international journal, 'Nature'. MSC Science Series Paper on the sustainable management strategies of the red shrimp fishery in Catalonia, Spain. GAP2's case study in Spain, looking at Mediterranean red shrimp fishery co-management, provides an update on its activities over the last 12 months. A general overview and detailed activity report from the Mediterranean Red Shrimp case study, 18 months into the GAP2 project. PhD student Giulia Gorelli has won a Marine Stewardship Council scholarship for her GAP2 project addressing the closing of two red shrimp fisheries near Palamós, Spain. 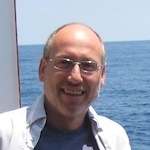 Joan B. is a senior scientist at the Marine Science Institute of the Spanish Research Council in Barcelona. Joan B. studies deep-sea communities, ecology and population dynamics and is a specialist on crustacean reproduction. Joan B. graduated from Barcelona University in 1991 with a degree in Biology and from University of Perpignan in Oceanography. He completed his PhD in crustacean ecology at the Ecology Department, University of Barcelona in 1995. Conrad has been a fisherman since 1985 and a skipper since 1995. He is currently the skipper of the red shrimp fishing vessel Nova Gacela. Conrad is a fisher specialist on the deep-sea red shrimp Aristeus antennatus. He is also the Vice-president of the Regional Federation of Fishermen Organisations of Girona, “Federacio Territorial de Confraries de Pescadores de Girona”. Giulia is a PhD student working for GAP2, as a biological observer on board commercial vessels and conducting prediction analysis on the deep-sea fishery. 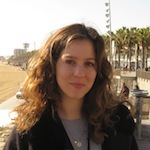 Giulia graduated in 2011 with a degree in Biology and completed her Master’s at the University Autonomous of Barcelona. 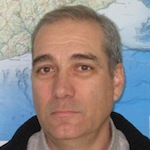 Francesc has been a marine researcher at the Spanish Research Council since 1980, where he studies deep-sea communities, ecology and population dynamics. He is a specialist on crustacean fisheries. Francesc graduated from Barcelona University in late 70s with a degree in Biology. He completed his PhD in crustacean ecology at the Ecology Department, University of Barcelona in 1983.